The holidays are upon us! Bring on the warm drinks, cozy comfort items, festive music and magical moments with children and loved ones! 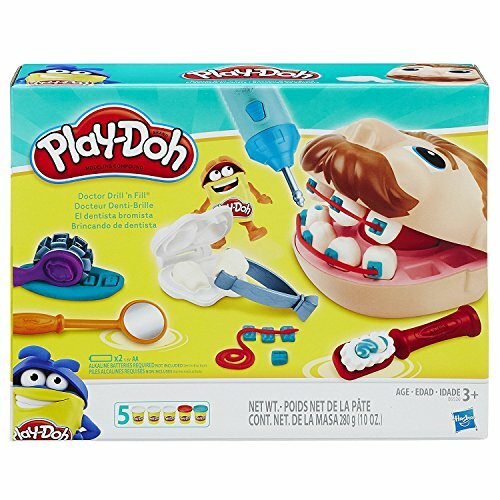 If gift giving is also a part of your holiday traditions like it is with my family, I thought I’d share some of my favorite medical play toys and items that you might want to add to your list! This post is not sponsored, but it would be awesome if it was! This list includes affiliate links. 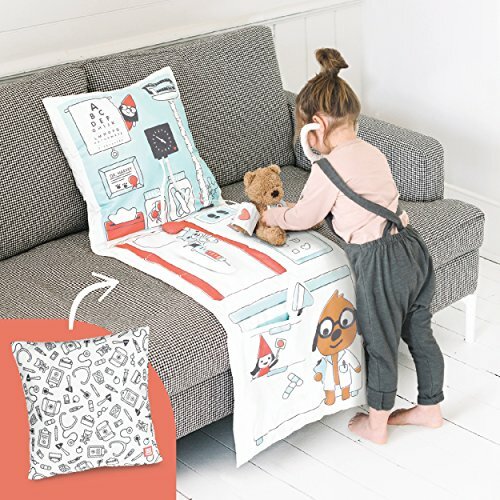 At no extra cost to you, I may earn a small commission when you use the picture links to purchase items. I appreciate your support! I have to start with this classic medical toy! This one pictured has a fresher new look with a modern thermometer. I think it because it’s small, very affordable and has most of the essentials to allow young children to explore, familiarize and play out medical experiences! 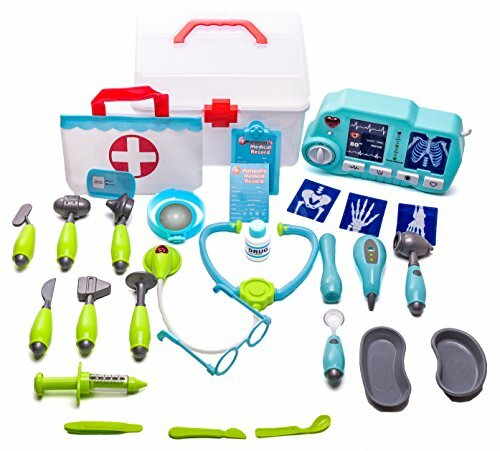 While the guidelines suggest this toy to be for 3-6 years old, I personally introduced medical toy items to my children after about 7-8 months of age. By 10-11 months, my son’s favorite toy he was walking around with all day was the toy syringe! He loved the cause/effect feel of the spring-loaded syringe. I just made sure to remove small medical toy items, like the bandage, to be safe (choking hazard). 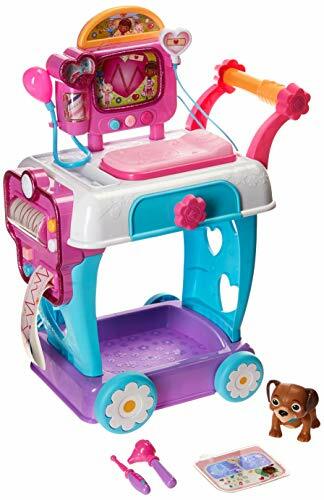 This is a new toy from the Green Toys Company that I believe came out in 2018. I love that this company makes their products from 100% recycled plastic and all are made in the U.S. They are well made, beautiful and dishwasher safe. 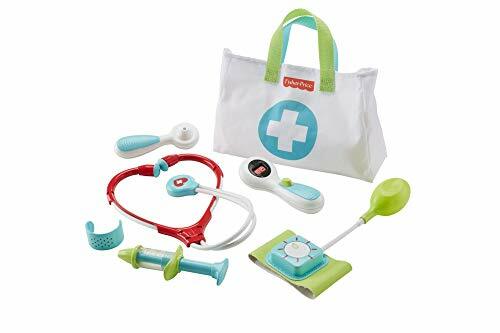 This wonderful toy set is recommended for children 2-6 years old, but again, I encourage introducing older babies medical toys (otoscope, thermometer, syringe) who are able to hold and manipulate somewhat heavier rattle size toys. This window of time could be for children as young as 7-9 months old. Both of my kids had multiple ear infections at a young age - my pediatrician was surprised when my son had his first at 9 weeks old! Familiarizing young children with often feared medical items can help them feel less frightened by them. Around 1 year-old your child may be starting to mimic your actions during pretend play. Be sure to gift a medical toy set to help give them the opportunity for exploration, control through mastery and fun during imaginative play! 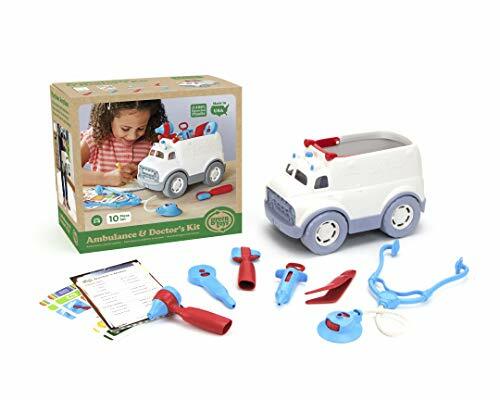 The ambulance in this set is great for any vehicle loving toddler! This set has it ALL. It’s really hard to pick our favorite items, but I will say for my kids the light up otoscope, light up dental tool, and glasses were a hit! They loved taking them to each doctor visit (sick and well) and the light up feature was a simple, but effective distraction toy during the exam. I gave them this set for Christmas last year when my son was 13 months and my daughter was almost 3. I chose to hide some of the items that were a potential choking hazard (e.g. medicine bottle comes with removable small cap), as well as some of the green tools that could be used to poke or jab each other (some also choking hazard). 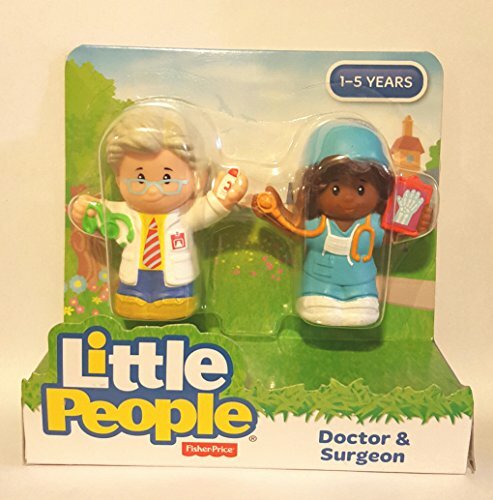 The toys are well made and I love that it comes with a medical bag and case! This was given to my daughter last year as a gift and it’s been put to good use! In fact, my 2 year-old son just dragged it out of their closet to play with it. Doc even says something like “Can you help me give a checkup?” My son excitedly responds, “yes!” Keep an eye out for this to be a “hot deal” item in the days and weeks to come! This is a flashback to last year when my 3-year-old daughter positioned her baby doll sitting up (YES my love, YES), gave her a book as a distraction and proceeded to give her a checkup. These are powerful coping strategies for kids and important small ways parents can advocate for care to be provided during their child’s medical experiences. Check out my previous post dispelling 5 Myths about IV starts that specifically shares evidence-based research about how kids cope better with needle procedures when sitting up. This is a must buy gift for anyone with a child 18 months old to about 4. It’s usually under $5, it’s small enough to toss in your purse on the go as a distraction item during checkups, it familiarizes and reinforces medical education, it works on problem-solving, and so much more! 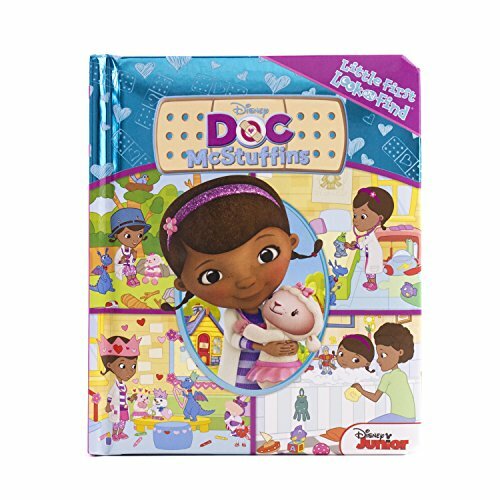 I love all of the other books in this series, but I just had to show some more love for Doc McStuffins! I could probably fill this list with more Doc McStuffins toys, but I will refrain and show you more great ideas from other companies. I have a whole post dedicated to play ideas to help prepare toddlers for the dentist. This toy activity is definitely on it and was a huge hit in incorporating hands on play while we talked about my daughter’s upcoming visit to get her mouth and teeth checkup. I also share 11 tips for helping toddlers cope with dental visits in this post. My kids spend so much time engaging in pretend play with their people and animal figurines. I love how it allows parents to role play positive situations to show how these medical professionals are helpers in our communities. The medical environment is no doubt scary and intimidating, but let’s remind and reassure our children that their doctors and nurses are there to help their bodies - whether it is to make sure they are growing healthy, staying safe, helping fix an ailment or recovering from an illness. Be sure to follow Dose of Play on social media for more resources and coping tips to help your family facing medical experiences. This one is going on our list this year! 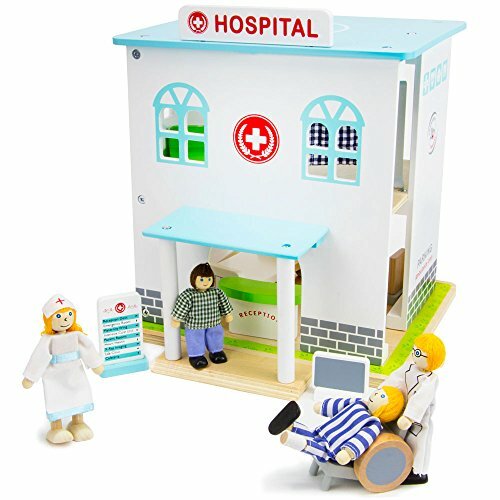 How amazing would it be to have this toy, especially if your child ends up scheduled to have a surgery. It’s a great way to play out the sequence of events they will expect to happen the day of their surgery (e.g. drive to the hospital, check in at the desk and get a wristband, etc). I just love these interactive books for kids 1-3 (even older if you have an almost 4-year-old like mine who still loves them). Not only are they great for learning at home, but they make awesome distraction activities in waiting rooms or while traveling! Come to think of it, did you catch the post I wrote “5 Prep Tips that ‘Carry-on’ to a Surprising Environment - the Airport!” I know it can be worrisome thinking and planning for traveling on an airplane with young children. 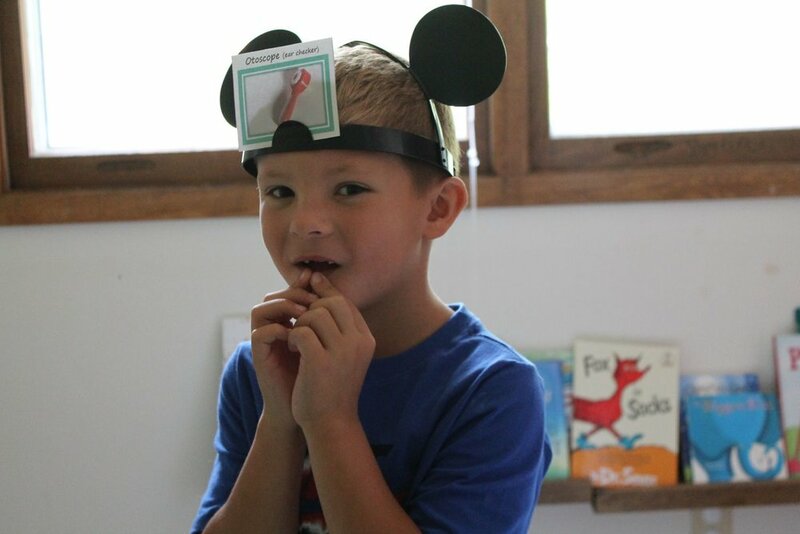 You might not be surprised that a #doseofplay can help quite a bit! This one is new to me! 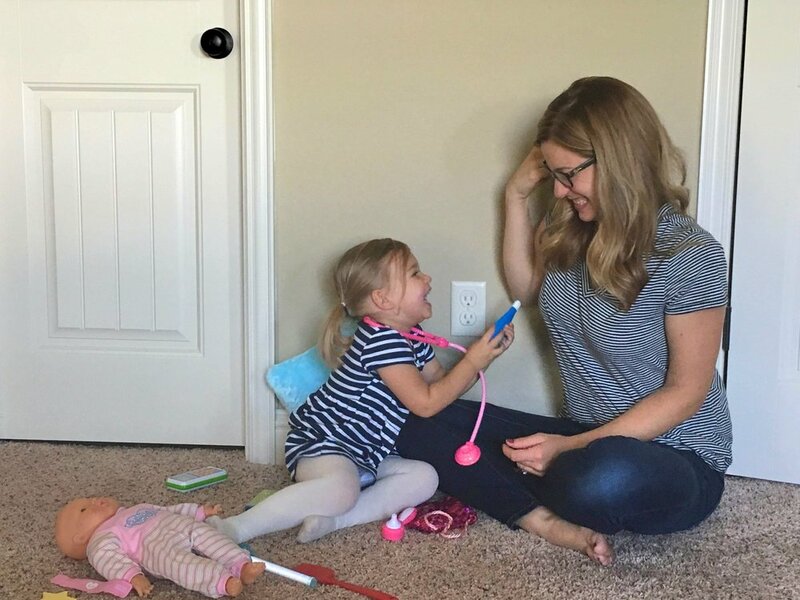 I saw it on this sweet motherhood and fashion blogger’s (who is also a Physicians Assistant!) Instagram Page. I love that it is a great item that can be wrapped up for on-the-go fun and that it offers a soft medical play opportunity for children that sometimes end up using toys as weapons (unintentionally or intentionally). This is a great gift for toddlers to even early school-age kids. 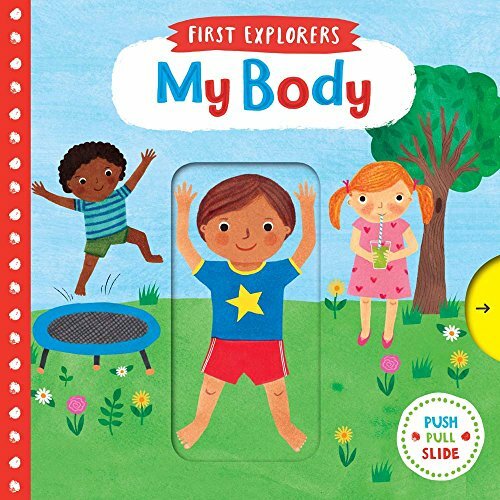 A must have in every child’s library is a simple board book about the human body. It helps build language skills for one and reading is always a beautiful bonding experience with your precious growing baby! As a child masters body part language, it can only help us parents and health care professionals identify injuries or ailments as they grow because they will have the skill of identifying in one way or another where their body might feel injured or unwell as they get older. 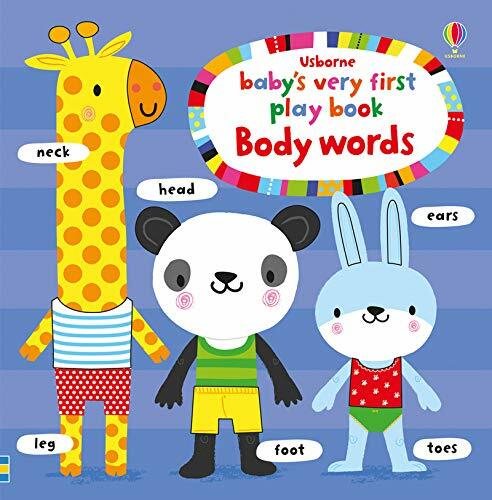 I didn’t make a holiday medical play gift guide specifically for babies, but Usborne “Baby’s First Play Book Body Words” would also definitely be on it! Never too early to read and talk to your children about the human body! 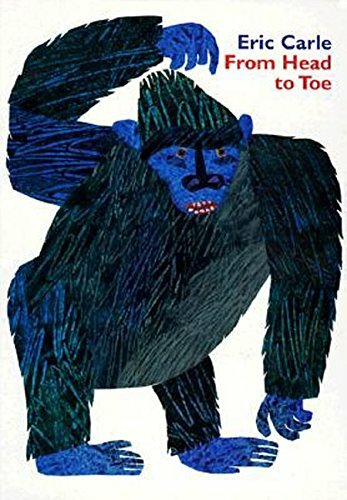 Finally, “From Head to Toe” is a sweet and fun book that identifies body parts by comparing them to animals. I don’t know how we don’t have this book yet, but it’s going in my online cart right now! 12. 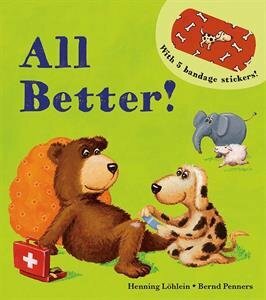 Toddler Medical Theme Usborne Books! I should really sell these books, because I am in l o v e with them. And so are my children and millions of others! 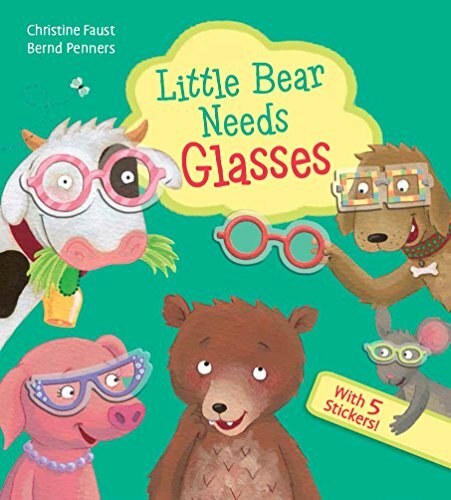 “Little Bear Needs Glasses” and “All Better” are sweet simple stories with the interactive component of using reusable stickers! They are so fun. I would recommend these books for an older toddler of 2 years and up (*with supervision as the stickers are smaller and a choking hazard). This is another wonderful toy by Green Toys. 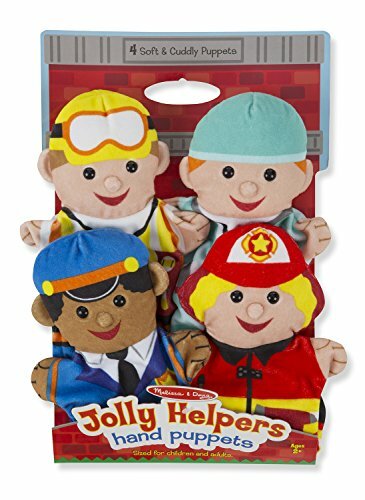 Again these toys are made in the U.S. from 100% recycled plastic. 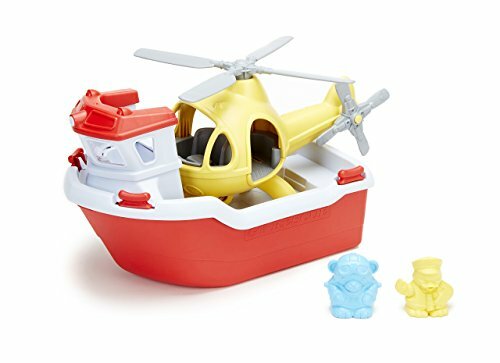 Whether you live near the coast or not, this toy set is great for educating toddlers about these important vehicles that help people (and animals) who are injured in large bodies of water get to a safe place and medical care their bodies need quickly. In times of devastation and uncertainty, it is important and comforting to children to highlight the people, tools and vehicles that are helping to make the situation better. Puppets are a great way to play out what the doctor will say and do at an upcoming medical visit! Toddlers love the magic of puppets! They are also a great tool to use in the hospital environment if an older child is having a difficult time coping and is withdrawn. Sometimes using another object to talk about feelings can help parents and health care professionals learn what exactly a child is thinking and can break down a wall to build rapport. Okay, I guess I lied. I have to share one more Doc McStuffins toy that is fantastic for medical play! What child or adult doesn’t love a tent! 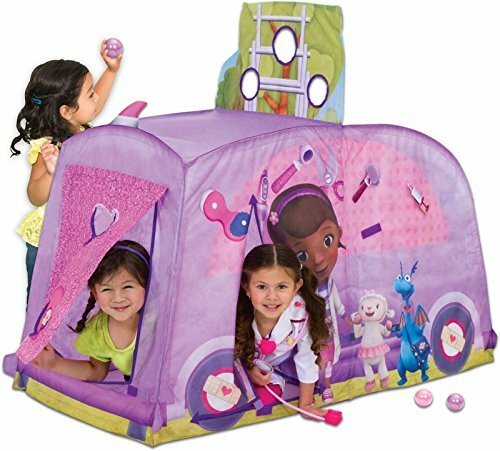 This particular one steps up the imaginative play a level by inviting kids to set up a checkup scene in the tent. That’s a wrap! I hope you found this doctor toy gift list helpful for your future holiday and birthday shopping needs. Be sure to follow and like Dose of Play on Instagram, Facebook and Twitter for plenty more tips and resources!